I met Nora Raleigh Baskin at the Unicorn Writers’ Conference in August and was interested to find that she was a prolific writer of middle grade novels, who’s been writing since she was in 5th grade. I read YA novels from time to time, but I wasn’t sure what to expect from a middle grade one. So I read her latest book Ruby on the Outside, because it dealt with a topic I hadn’t seen covered anywhere else in children’s books. It’s about a girl whose mother is in prison for life, convicted of being an accessory to murder. There are many questions about truth and lies, friendship and family, as well as some spot-on characterizations of 11 year-old girls. Apart from being a page-turner, it offers the reader hope that he/she doesn’t have to stay ‘on the outside.’ After reading the book I had some questions for her. 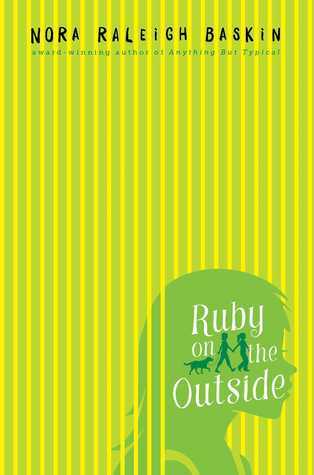 GC: Ruby on the Outside is your 12th novel for middle graders. This is a relatively new genre in terms of marketing. Why did you choose to write for this age group? NRB: I’m not sure how new this genre is. I think the YA spin-off is the one that marketers have really jumped all over. Middle grade is what we used to just call Children’s books. It’s what most of us remember from school, Nancy Drew, E.L. Konigsburg, A Wrinkle in Time. In fact, as a writer I feel that these publisher/library imposed categories are very limiting but that’s a whole other topic of conversation. I write for all ages. I write for myself. I write the stories I needed to tell and when I told that story (my first book in 2001) in a 6th grader’s voice it worked best. And so that’s where I mostly stayed. GC: Your books are often about outsiders. Is there some particular reason why you find these characters interesting? NRB: I have a strong feeling that all writers, to one degree or another, at one time in their life, or still, feel like outsiders and so have become observers. 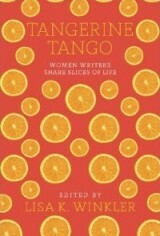 Writers are viewers, watching and listening and analyzing the world as they see it, and as they want others to see it. For me, it began when I was three and a half and my mother committed suicide but the truth was kept from me for many years. This disconnect between what I had witnessed as a child and what I was being told created an “I-don’t-belong” sensibility. From a very early age I became a “truth-seeker” and that is what I do in my writing to this day. GC: What’s the most fun thing about being a middle grade author? NRB: Interesting question. Being a writer is a great profession but writing for children is an added responsibility, at least I believe so. I’m not sure if that qualifies as fun, but is it what makes being a middle grade author important. Just like middle school teachers, who can play very important roles in a child’s life (more so than any other age in many ways), I care about what I write and how it is going to be read by children. I feel deeply that I need to write stories that are realistic and do not offer false hope, but do offer hope. And that present characters of strength, acceptance, and resiliency. GC: Do you get direct feedback from fans about your books? And do they comment on your amazing ability to capture a young person’s voice? NRB: With the internet, Twitter, and FB I get more feedback than I’ve ever gotten. I’ve gotten requests from students doing book reports, complaints from parents about some minor (I mean, teeny tiny) bad word in my basketball book (Have you ever BEEN on a basketball court???) but mostly I get wonderful, validating, and affirming letters from students, teachers, and parents. In particular I hear from many people about my book, Anything But Typical which told the story of a 12 year-old autistic boy from the first person POV. Books move people, make them think, and feel, and care. There is nothing more meaningful than finding out that I’ve achieved that. NRB: My next book is being published in August 2016 by Simon & Schuster. It’s titled: Nine, Ten: A September 11 Story, and tells the story of four children across the United States in the 24 hours before 9/11. It is not a depressing or scary story, but again, hopeful. Other than writing, I’ve lately found myself drawn to teaching. 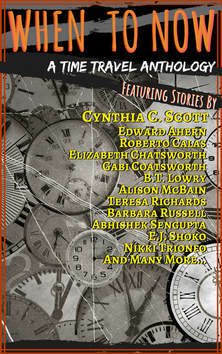 I enjoy very much talking to writers about writing, and helping new writers figure out their creative paths. I have been teaching for years through Gotham Writers Workshops and various conferences around the country and I’ve decided to start offering my own workshops and manuscripts critiquing. I’ve made a new website just for this new teaching venture: LightOnWriting.com. I do hope people will find the site and take an interest. The first workshop,Trade Secrets: Writing for Children & Young Adults, is scheduled for Saturday, November 21, 2015, 10-4 in Norwalk, CT.
You can connect with Nora on Google +, Twitter and Facebook.